Product prices and availability are accurate as of 2019-04-01 15:57:27 EDT and are subject to change. Any price and availability information displayed on http://www.amazon.com/ at the time of purchase will apply to the purchase of this product. Stand out in the studio or simply look and feel good in your own home with our high quality, planet-friendly, sustainable yoga bundle. Whether you are an advanced yogi or an absolute beginner we believe this bundle is a valuable investment to compliment your yoga practice. 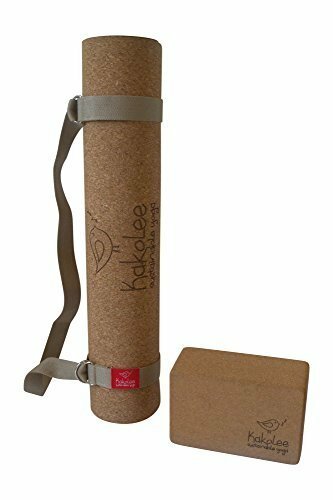 Why the Kakolee yoga bundle? 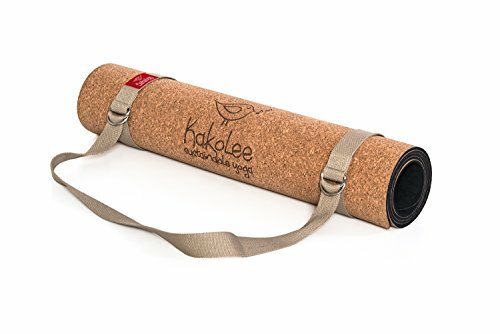 Challenge your practice with confidence and allow the beautiful texture of natural cork to aid your alignment, muscle engagement and general yoga practice development. It is time to make the switch and make a difference. A healthy mind and body starts with our natural, eco-friendly yoga products. Completely chemical and plastic free leaves you feeling good about yourself and good about the planet long after your yoga session. We believe our customers deserve superior products that connect you, with you and the planet. Although we take every care to ensure that the products reach you in perfect condition, as with any natural product, slight imperfections in the cork layer may occur from time to time. Our cork is bonded using heat and steam only. Absolutely no use of chemicals and harmful adhesives has been used in this process. To maintain the life span of your investment we recommend not folding or creasing the mat. Small cracks may be easily repaired using simple wood glue. However, your experience and remarkably unique feel of our planet-friendly yoga mat will be unaffected. 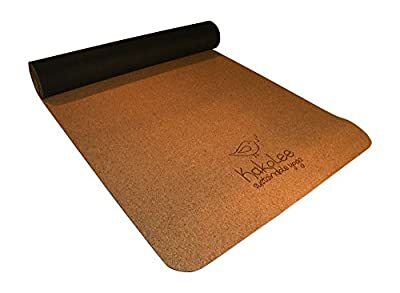 The mat: size 71x26x0.2inches/180x66x0.5cm, weight 5.5 lbs/2.5Kg, material: cork and black rubber. The block: size 4x6x9inches/10x15x23cm,weight 1.3lbs/0.6Kg material: cork. The strap: size 72x1.5inches/183x3.8cm, material: cotton. If for any reason you are unhappy with your investment, we offer a full refund within the first 30 days of your purchase, no questions asked! KAKOLEE LIMITED OFFER: Due to an amazing response from our customers we are maintaining this special price for a limited time. Order yours today! THE MAT: The waterproof substance in cork means our mats get 'grippier' when wet. We have personally sweat-tested them! THE BLOCK: Our aim is to enhance your muscle engagement, body alignment and general yoga practice using our cork block. 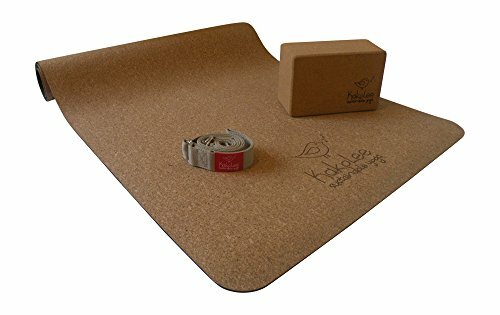 SUSTAINABLE AND PLANET FRIENDLY: Our yoga set is made up of 100% natural oak cork, recycled rubber and cotton. THE KAKOLEE SHOPPING EXPERIENCE: We are a team of real people who pride ourselves on unrivalled customer satisfaction.